Isco (Iosef Schneider Optik) was founded in 1936 in Göttingen, Germany. It is a maker of lenses and high precision optical systems. 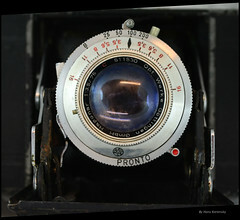 Before World War II, ISCO manufactured Schneider lenses, such as the Xenon 125/2 fitted in German aerial cameras. After World War II it specialised in cinema projection lenses, but in the 1950s supplied lenses for several types and brands of German cameras such as Apparate & Kamerabau, Balda, Bilora, Franka, Wirgin (and others). 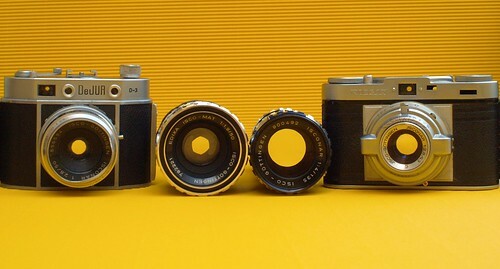 Camera lens type names of Isco were Isco-Mat, Iscotar, Isconar, Tele-Iscaron, Westar, Westanar, Westron, and Westromat. In addition it manufactured a ranged of M39 and M42 lenses. For some years after World War II (till 1953) the company was not allowed to use the name ISCO. They used the name Optische Werke Göttingen instead. This page was last edited on 18 January 2018, at 19:05.